Raki is the result of the fermentation and distillation of the leftover pressed grapes, remaining after the wine making process. The skins with some pulp are left covered in the hot summer sun. The invited yeast gets to work and in a couple of weeks you get an alcoholic beverage that is quite nasty to drink. Distilling it though, makes a potent and flavorful elixir that is used for everything, as a drink, cooking ingredient or as medicine. My Grandma, would take some raki and add some chilies, let it for 7 days and then use it as rubbing alcohol. 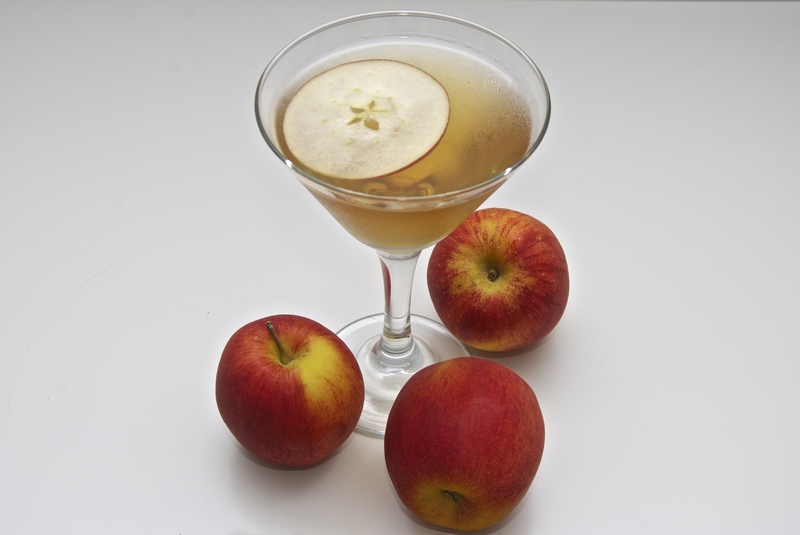 Due to its very savory nature, strong flavor and alcohol content variations from vendor to vendor, it is hard to blend it successfully in cocktails. We did one last year that was quite good, but this time we are in for a real treat. The Bloody Mario is a delicious combination of flavors. 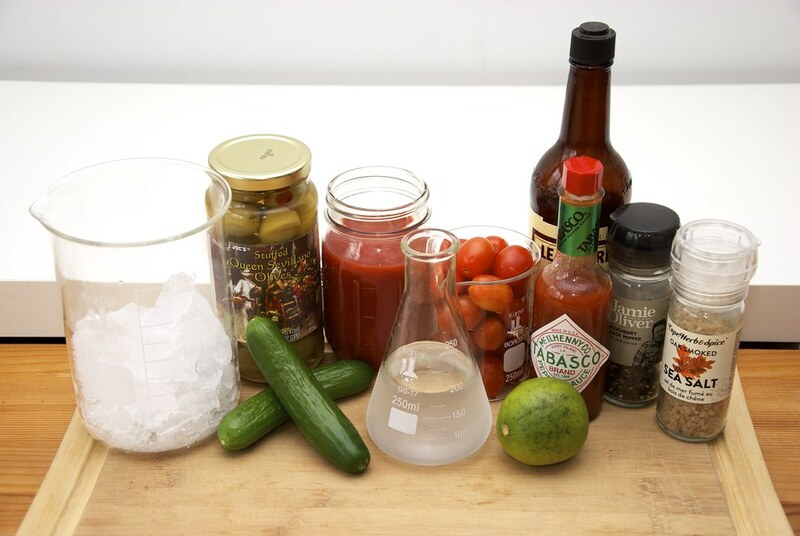 The recipe of Bloody Mary has many variations from beef consomme to clam juice and molasses. But let’s go back to the basics. 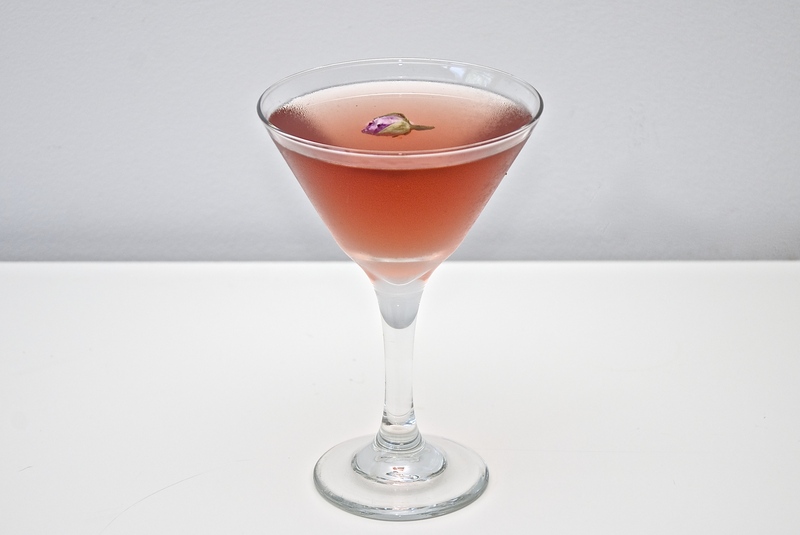 A cocktail should have a spirit, a flavor and an accent. 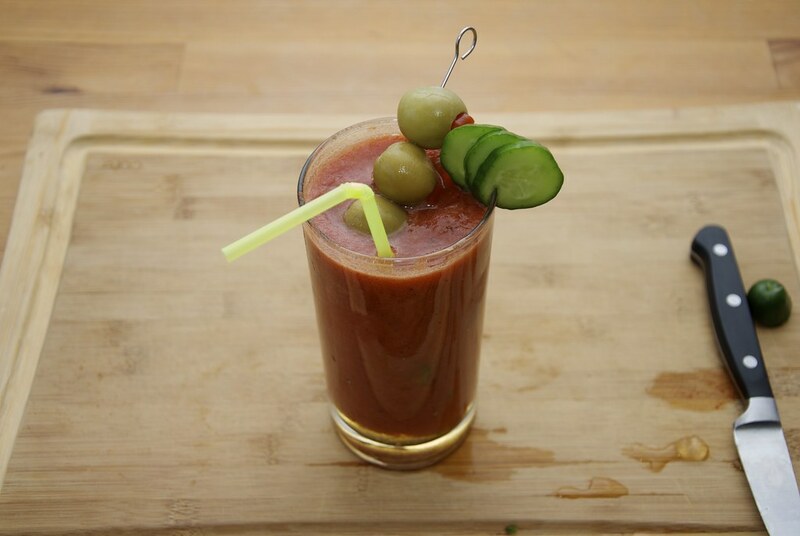 I think that the original Bloody Marry that was developed out of necessity. 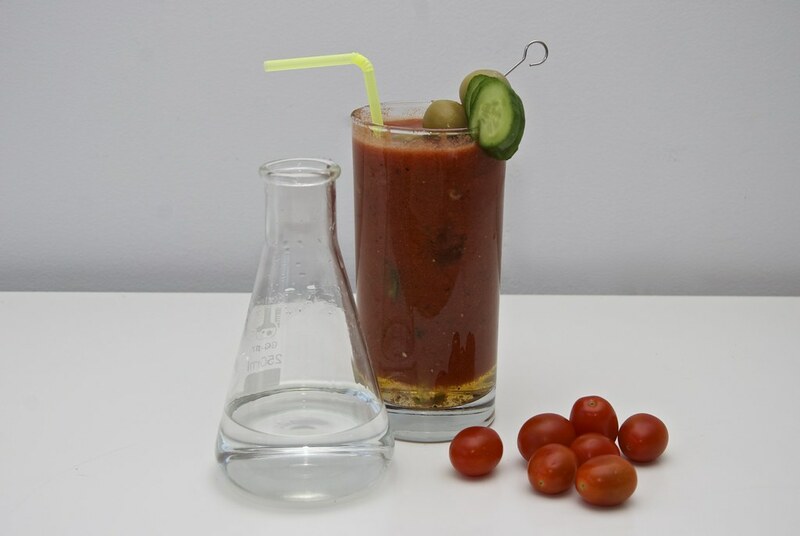 Back in the early 1920’s Fernand Petiot, who claimed to have invented the Bloody Mary at the New York Bar in Paris, took some tomato juice, poured it over ice and then added the Vodka. He used his pinky to taste the juice. It probably need some salinity and some body. 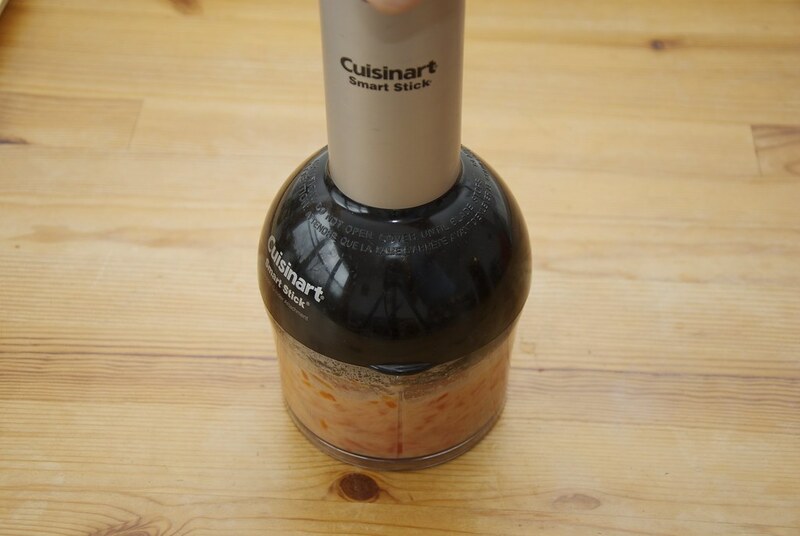 He just grabbed the Worcestershire sauce and added a couple of dashes. “Odd” he thought “but tasty”. 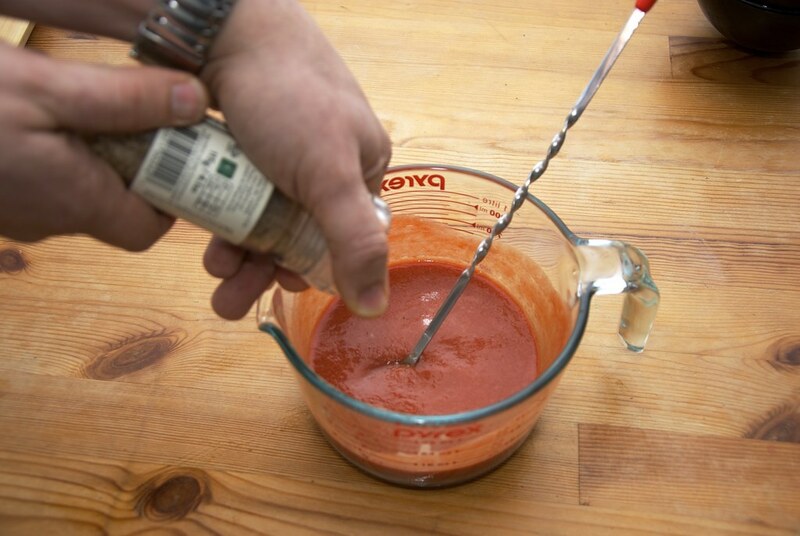 The tomato and Worcestershire sauce is the perfect canvas to add other savory flavors, but that does not mean that we need to. Instead let’s focus on the flavors and the quality of what we add rather than making it supper heavy with non necessary tastes. As you saw we have to types of tomato: the cherry tomatoes and the tomato sauce. We need the tomato sauce for the color and the rich mouthfeel, but lacks flavor. So we add the cherry tomatoes. 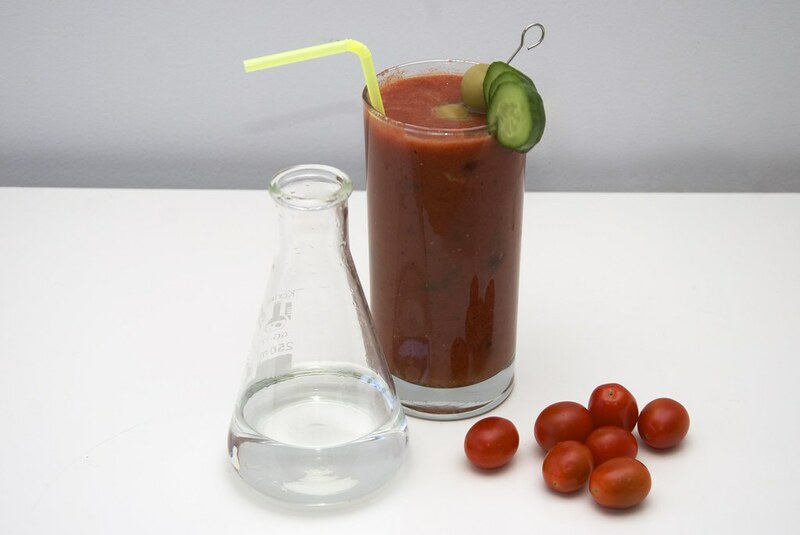 They will bring a freshness and acidic, but more importantly it will bring real tomato taste. 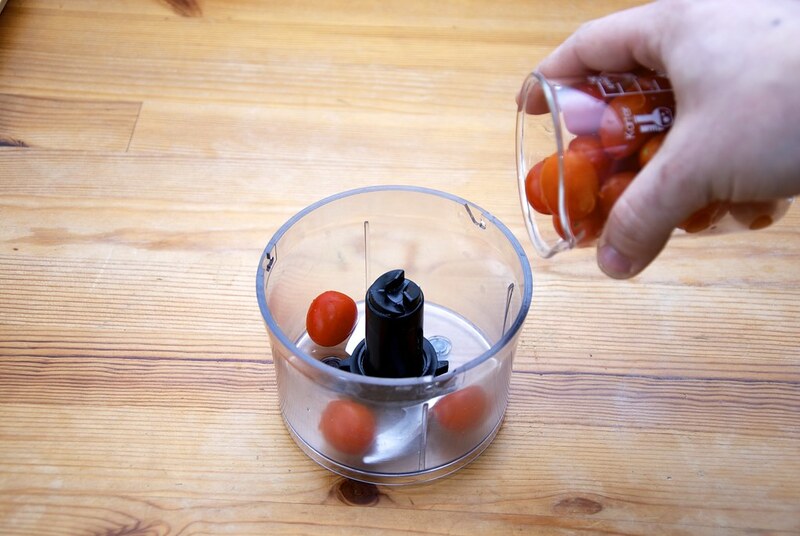 Start by adding the cherry tomatoes in a food processor. Spin the to completely obliterate them. There are lots of seeds and skin so pass this through a fine sieve strainer. 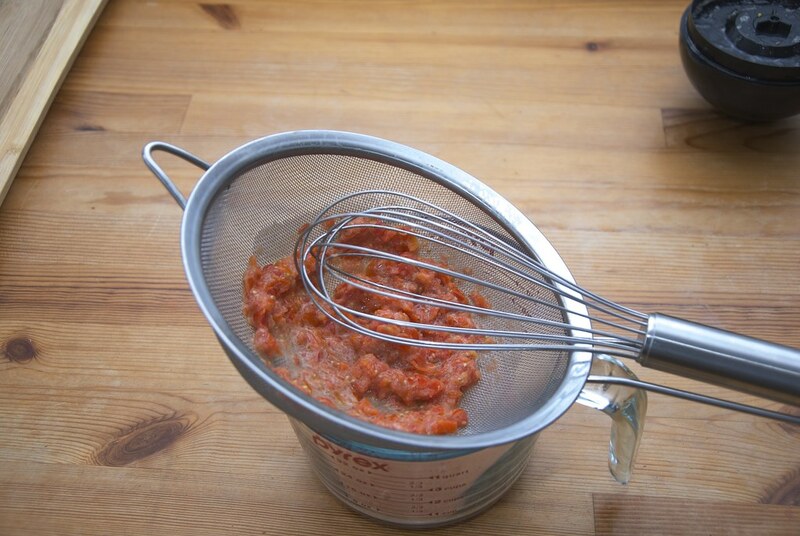 Use a whisk to push the juice through. 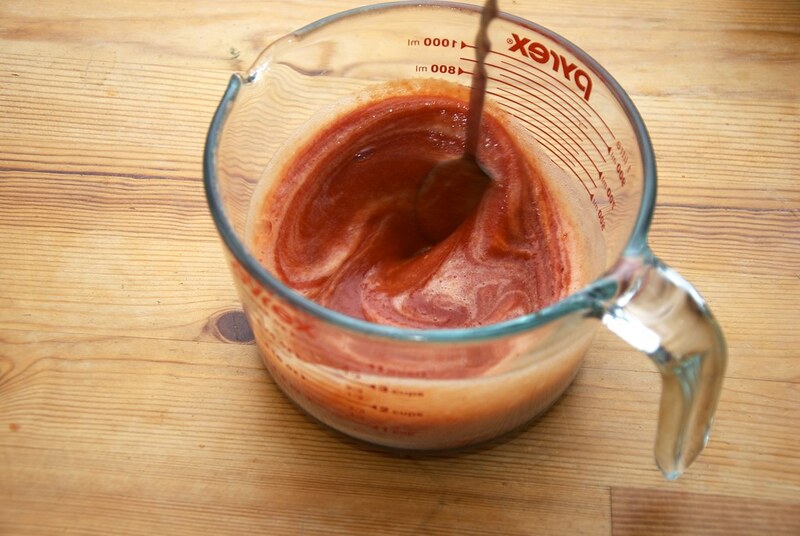 As you can see the grading process integrated a lot of air in the tomato juice which give it this whitish color. 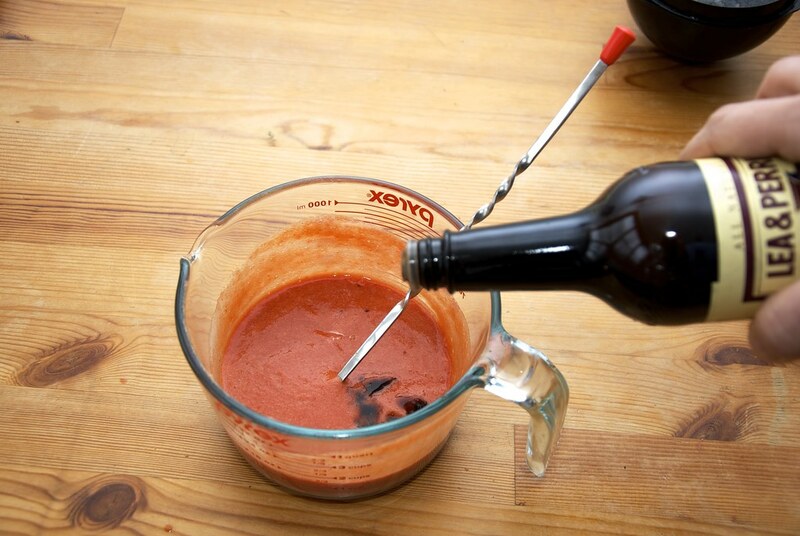 That’s why we add the tomato sauce. About 1/2 cup. Mix to combine. I love a bar spoon for this. Any spoon will work. I just live this. Add the Worcestershire sauce. About 1/4 tbs. Don’t go crazy. We just need to boost the taste, nit change it ok? 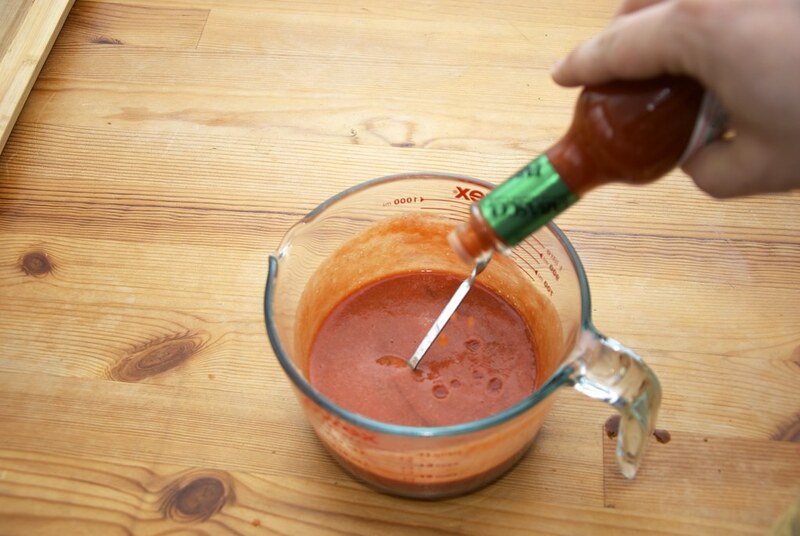 Follow with a few dashes of Tabasco or your favorite hot sauce. 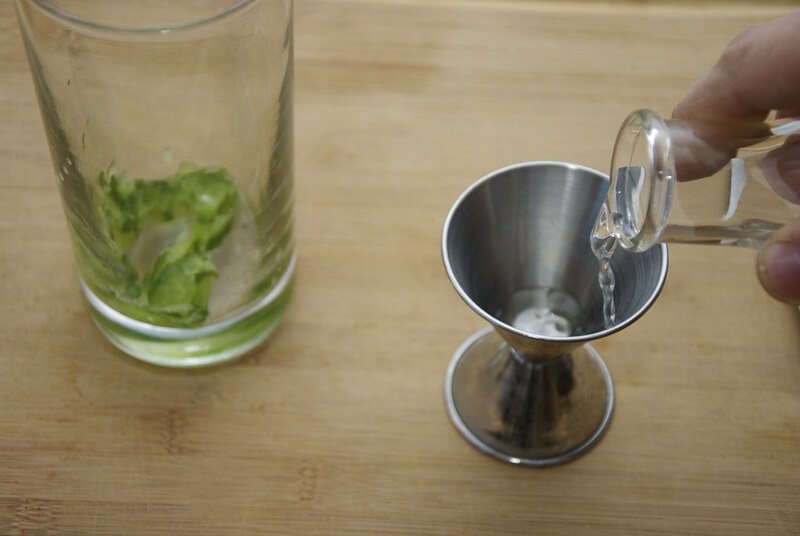 Again we add this to give an extra dimension to the flavor profile, not to make a spicy cocktail. Just a kick at the end. Then I add about 2 tbsp of olive brine. This is optional but I like the brainy taste. Add some salt (smoked will be ideal). At this point you can keep this mixture in the fridge for about 3-4 days. I usually make it in big batches. 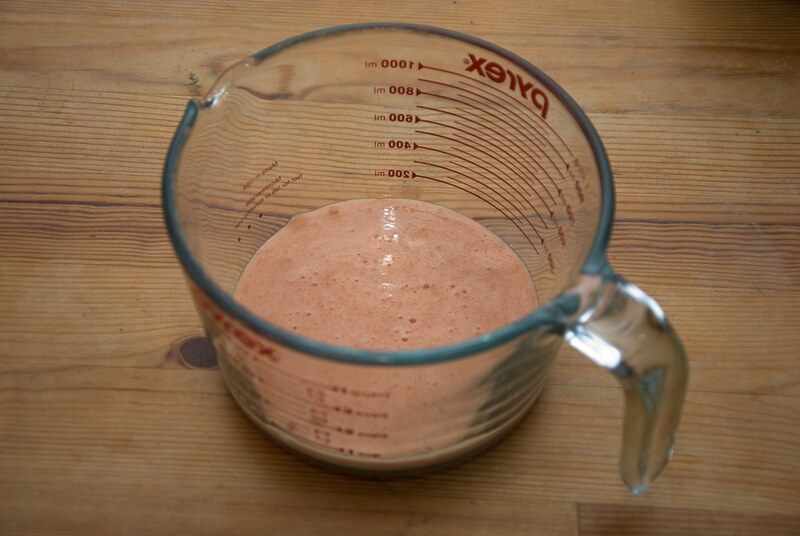 To do that estimate about 1 to 1 1/4 cups of mixture per drink. 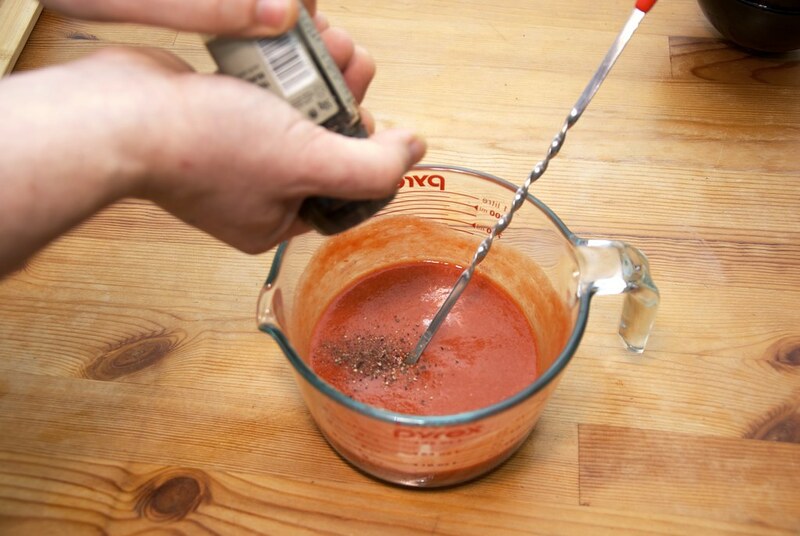 And add some freshly ground pepper. Courtly if possible. 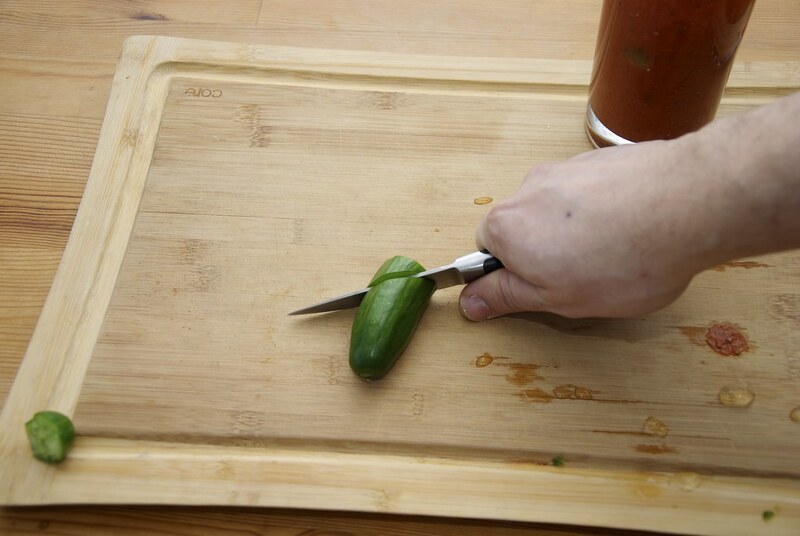 Now cut some cucumber slices. I know we try to be classic, but there is some freshness in the cucumber that will simply elevate the dish to a whole new level. Just a few slices. 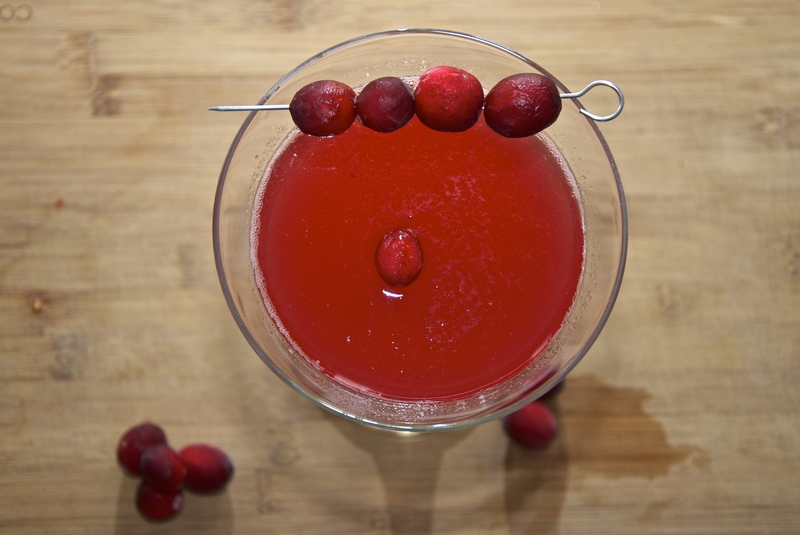 Add them in the glass that you are serving it. And muddle. Just to extract the juice. Measure 1 1/2 oz. of raki (or the spirit of your choice). 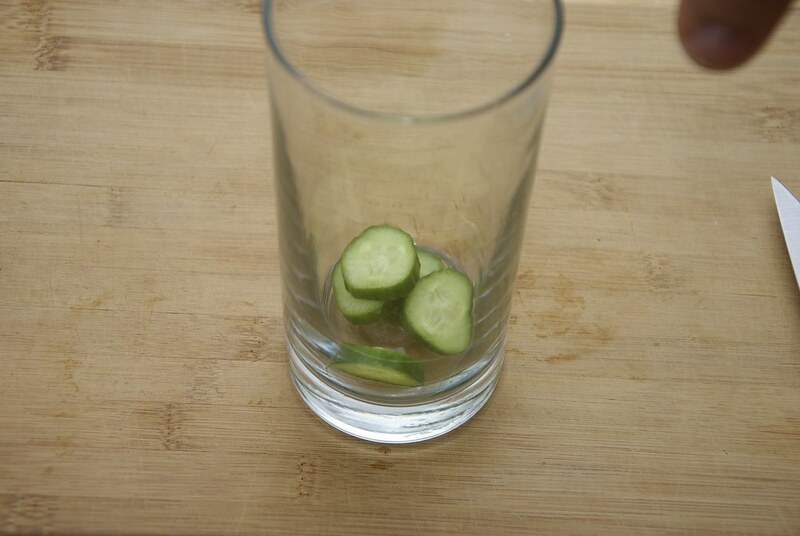 Add this on the top of the muddle cucumber and top this with ice. 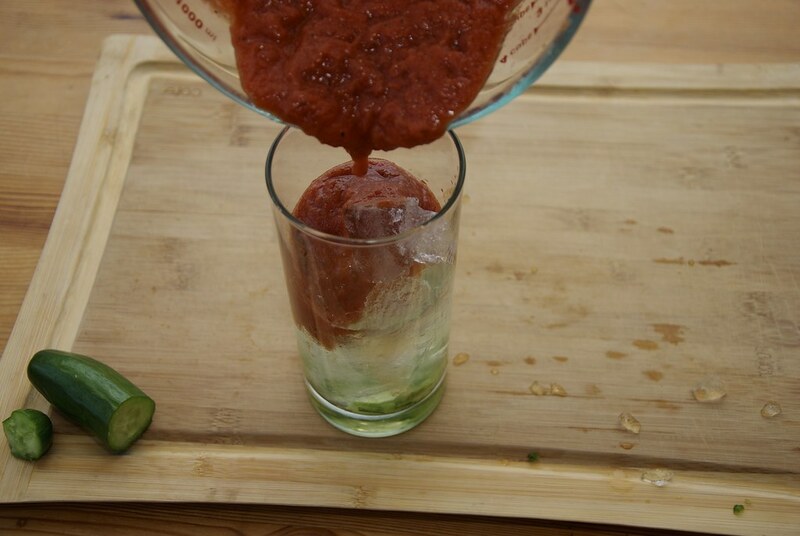 Finally add the tomato mixture to get to the top of the glass. 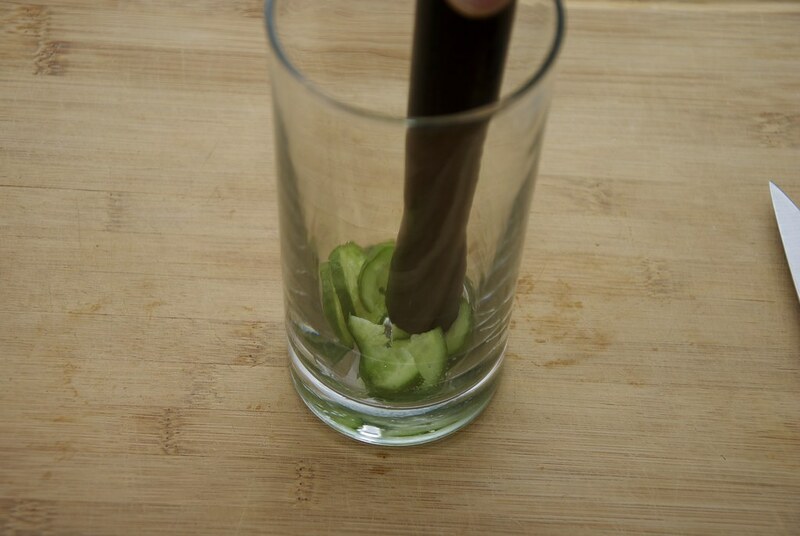 Cut a few slices of cucumber for garnish. Just like that. 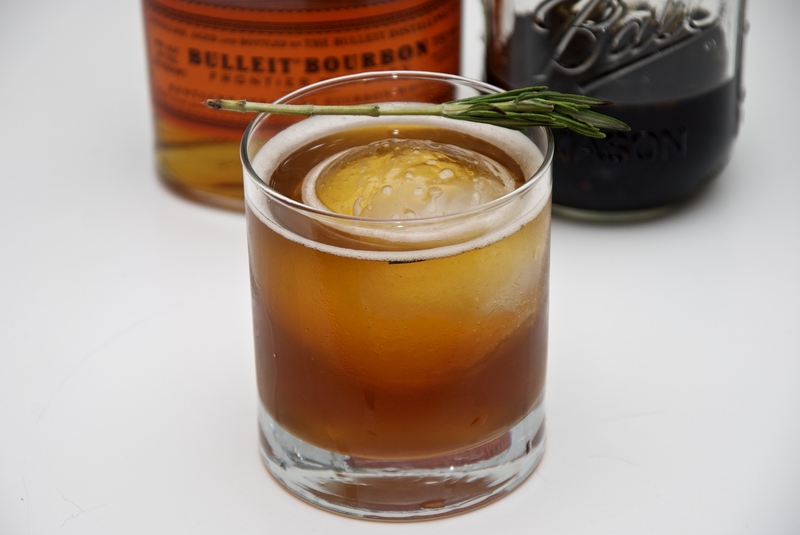 Be as creative as you want to be with the garnish, but not loud. And the celery. I hate it. I never use. If you are a big fun, just add it, but I personally find it completely irrelevant. Top it with three olives on a skewer. And the straw off course. 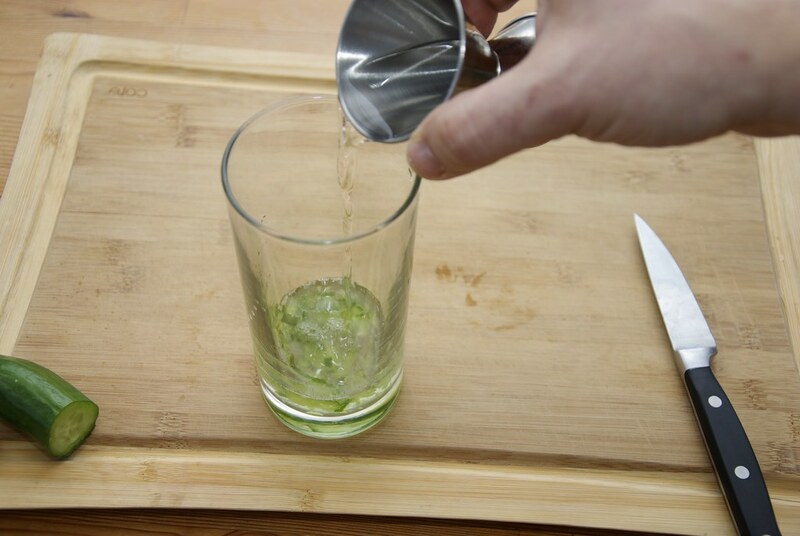 It is normal to get some separation as you can see at the bottom of the cocktail. 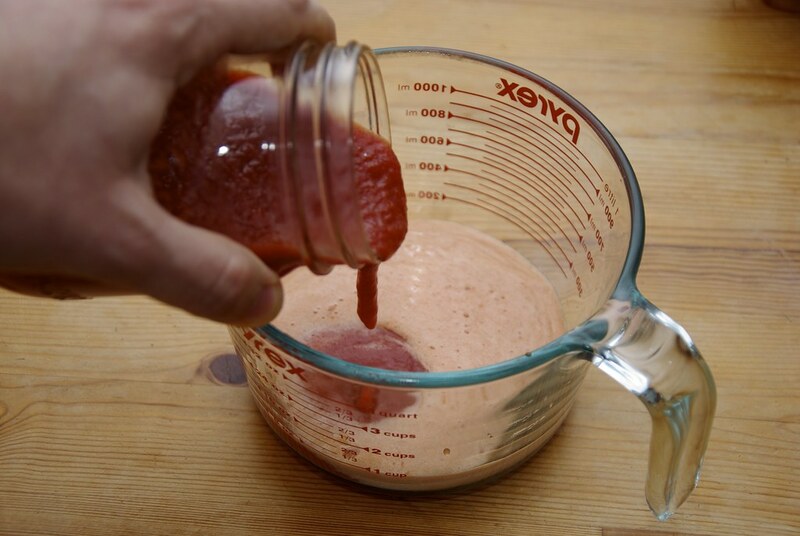 The tomato solids float on the top resulting in this. But you can always stir. 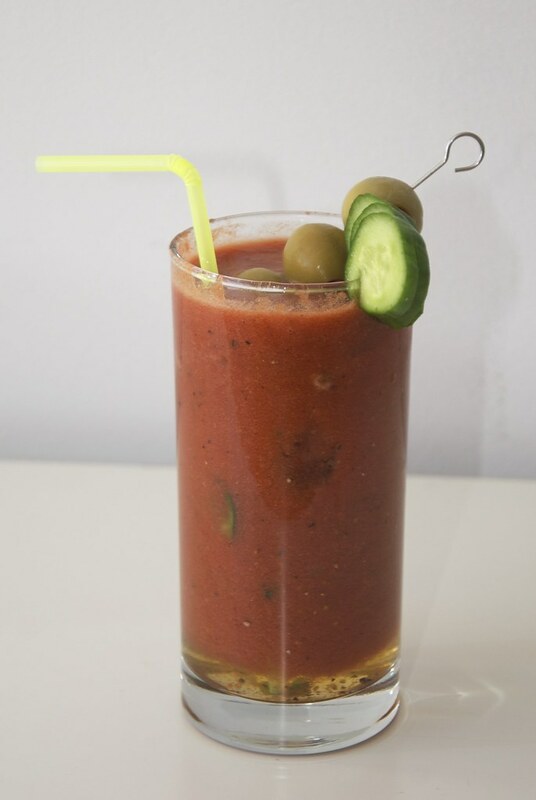 It is a delicious, fulfilling cocktail that exemplifies the essence or raki (tsikoudia) and the freshness of the tomato and the cucumber. 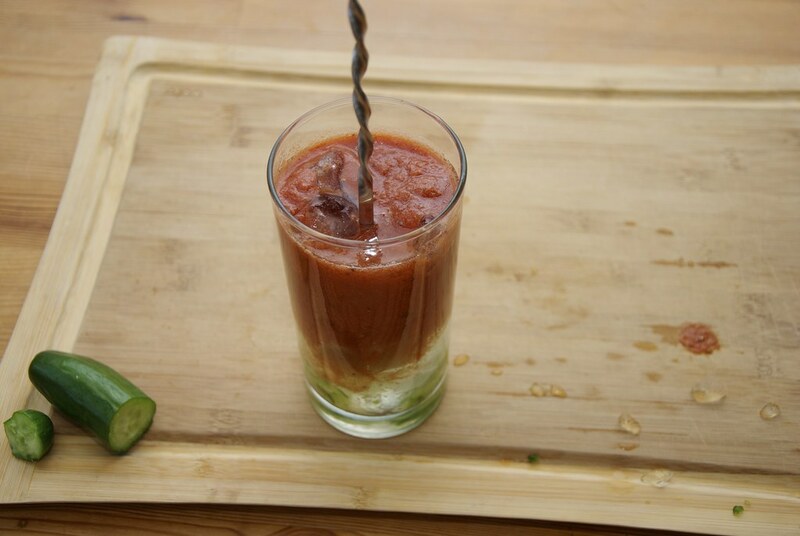 A delicious spin on the Bloody Mary cocktail. 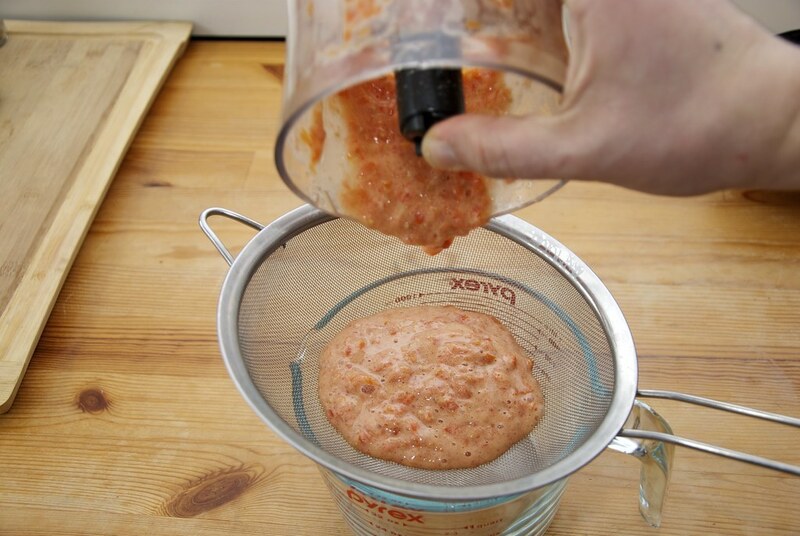 Grind the tomatoes in a food processor. Strain it through a fine mesh. 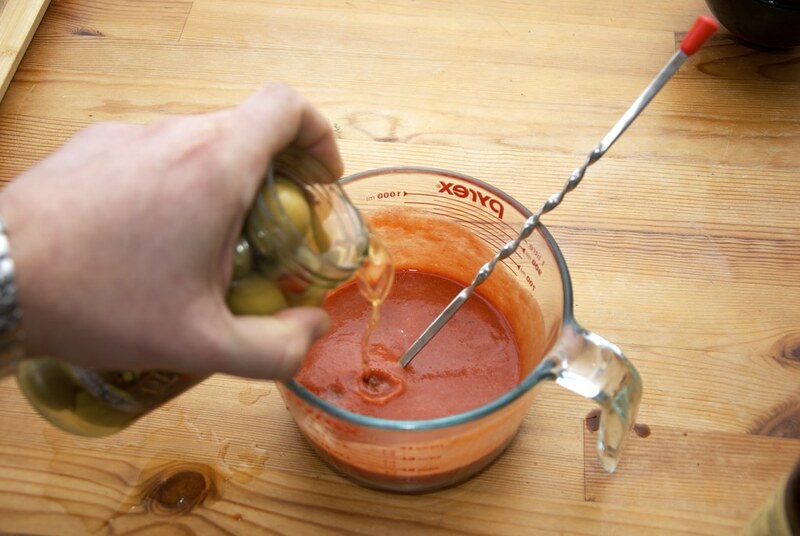 Add the Worcestershire sauce the tabasco, olive brine and lime juice. 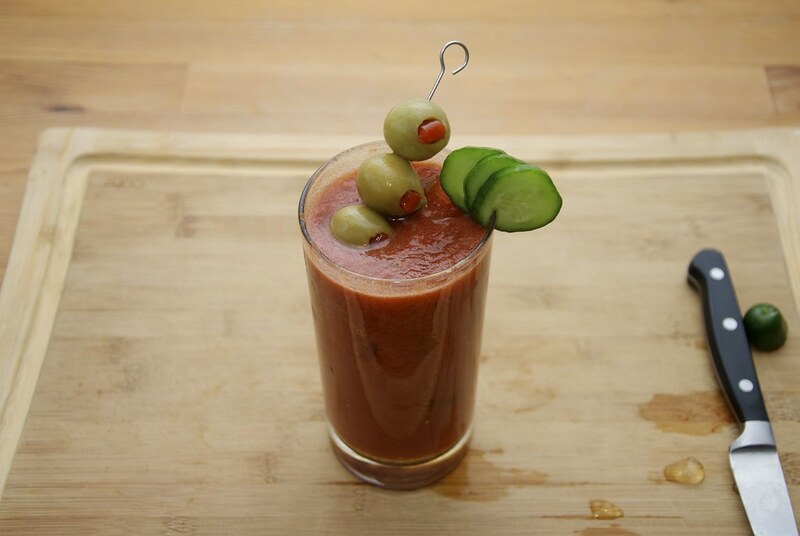 You can keep the cucumber out, and add vodka for a delicious Bloody Mary! The one, the only, the original. 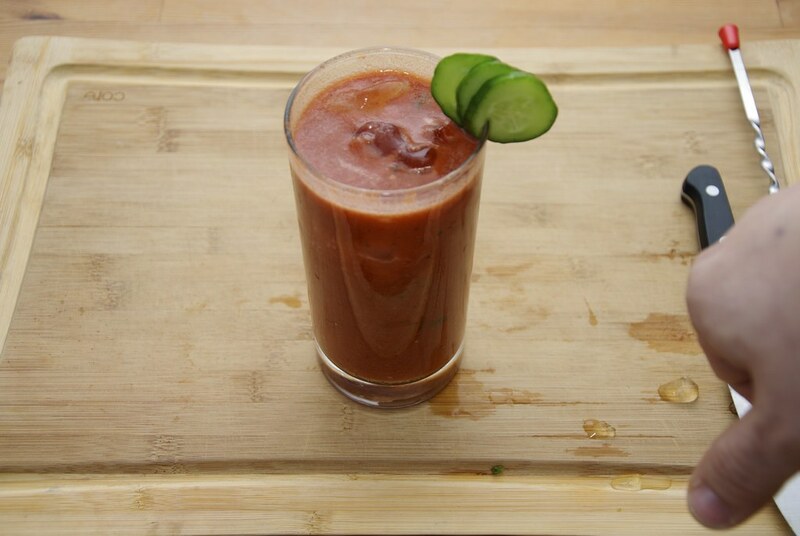 You can keep the cucumber out, and add tequila for a delicious Bloody Maria!